Former Minister of Education, Dr. Oby Ezekwesili, has said that male political leaders are to blame for the poor state of affairs in Nigeria and Africa as a whole. She also absolved women of any blame, saying they have had only a “marginal” role to play in the poor governance that has bedeviled the continent. arms of government — executive, legislature and judiciary. 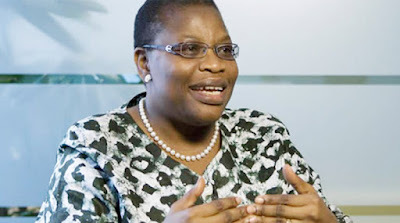 Ezekwesili, who was the keynote speaker at the maiden edition of the HID Awolowo Foundation annual lecture in Lagos on Tuesday, said research had shown that in Africa, only five per cent of women are chief executive officers, only 22 per cent of women are cabinet members, 25 per cent are parliamentarians, 29 per cent are managers, while a mere 36 per cent get promotion. In the lecture, themed ‘Ethical, politics, peace, development and security in Nigeria: The critical importance of women’s leadership,’ Ezekwesili said it was time Nigerian women disrupted the political process that had acted as a barrier for them to enter into the political space, noting that the barrier ranges from cultural, economic, social, religious to self-imposed barriers. She said, “For as long as the women are held down, the trend analysis does not show any reversal of outcome. Nobody does any favour to Nigerian women by involving them in governance. “Women are incredible human resource that we must put to use, and what this says to us is that we need to be more intentional and deliberate.